I don't recall my old comments, but yeah making it a separate area was a bad decision. Plus its own currency and lack of any growth just killed it. Krustyland is weird because it exists outside the show, with most of the locations and items coming from the Universal attraction. I don't think they pulled from the Bongo mini series at all. The only thing I don't like about Tapped Out at times is the completion of buildings, if you forget where you've put them on the map they can be very hard to find and you can struggle then to move on with the game, specially if a character is with the building with tasks. If they would have the building completion work like they do characters tasks it would be spot on, I'm also not keen on the continuous tapping of characters to find round the map to gain whatever items are in the current task, again, it's finding them all and they're often hidden behind buildings which makes it hard to click them too, other than that the game is great. '"Uh, Hugh Jass! 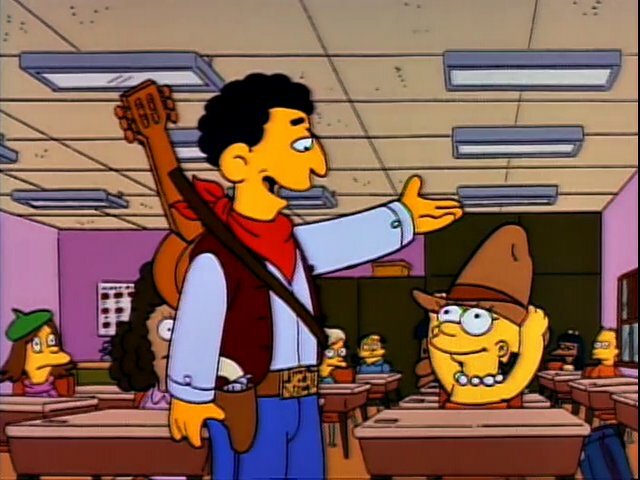 D'oh, somebody check the men's room for a Hugh Jass"
There is no real template of an actual Springfield, though you can use the show as a guide. I've made several posts in the past showing screengrabs from episodes that I used to get a "close enough" layout for my Springfield. I'd suggest clicking back through the thread or checking out maps of the city for a general idea of where stuff usually is. I'm glad that this event got rid of an unnecesary instance that I don't really want to go to, the only reason I still went is for the balloon game. Its more fun to have your amusement park on the same map. The Poochie mini-event was a nice follow up, though I wish Scratchy didn't cost a ridicilous overpriced 300 donuts with a decoration I don't care for. The latest events were rather dull but I've liked this one for both its theme and getting rid of a nuisance. Would be nice if I get to buy land with money. What can I even buy now? I already got all the prestige items, its just the rest of the land that I need which I still fall on behind quite badly. I really don't get EA's decision of turning land expansions from a purchasable item into a token reward for doing events. The newest Tapped Out event is the Moe’s Ark event. It basically adds a bunch of zoo and animal-related items to the game. A couple of these are tenuously if at all related to the animal theme, and were clearly just thrown in just to get characters like Allison and Sarah in the game. Allison has nothing to do with the theme at all. Last edited by ataeaf; 08-03-2018 at 02:11 PM. I’m not even sure I’m playing this right. The prize for completing the emu experience is just another emu experience? And literally the only thing to do with that currency is upgrade it over and over? Tapped Out has been chugging along. I still play all the events but I feel like it has gotten harder to complete events, I always get to that last day and could use a day or two more. The Free Donuts hack seems to have hit a snag, and now the Reddit group no longer adds all locked content and limits donuts to 1000 every 3 months. Meanwhile Tapped Out has increased the premium items each event, and some are really great. Oh well. The party had to end sometime, I just wish I wasn't missing out on the Box Factory. Haven't played in months but I had to get Lewis. Obscure kid characters getting their little moment in the sun is the primary selling point to me. Continue to play this everyday. The most difficult thing for me so far has been unlocking Matt Groening himself. That cost so much money that I never seem to accumulate before having to spend more. Lewis was a must-buy for me too. Now I want “Just Stamp the Ticket” Man even though he’s not a kid character. It is interesting that his full name is used, so I guess that list in Yellow Subterfuge was canon. This also confirms Sherri and Terri’s last name as Mackleberry. But then Borton was used as Wendell’s last name instead of Queasley. It is nice when characters like that get some screentime... but it still tends to vary. Some of them even have entire parts of their questline where they have no appearance whatsoever or have it so bad, their questline is more about one of the regulars who already gets lots of attention than the supposed stars. Because when paying for a premium with a quest I really want more Milhouse... even though I'm fairly sure he already gets more attention than Bart. Oh, I heard the Golden Goose is a good one to get, apparently it makes land easier to buy. Have yet to unlock that, mind. Yeah, the Golden Goose generates land tokens. Got that as soon as I found that out. The new Tapped Out event adds a certain someone to the game... as a FREE character. They haven’t been added yet but other characters added are Nikki McKenna, Gloria, Jenda, Groundskeeper Wilma, and Dondelinger . Last edited by ataeaf; 01-23-2019 at 04:41 PM. You are using a laptop or PC can download Tapped Out in apknite, I downloaded it quite quickly, access the extension to download. I read the rumor that Tapped Out is coming to an end. The fact that they are liquidating premium products with the Yearbook Mystery Box would be the first indication. The second, that the new mini-event, Marge at the Bat, has no new characters, places or decorations to offer. Does anyone know anything concrete about this or, at the moment, it is a simple speculation? I was originally buliding my town to reflect Hit & Run's first level but then it just became a dumping ground. Stopped playing around 2017. I hope the inclination of Tapped Out ending means EA might try to make a splash on console with a new game sometime in the future. I wouldn't hold my breath though. I did notice that there was a lack of any Easter event this year and the BIG events in general have been pretty slow recently. Just had a thought: What if the Disney deal has something to do with this? I don't think it affected Star Wars much did it? Might be wrong. Either way, two minds regarding this. On one hand, could be a good thing, as in we might finally see something new. On the other hand, a fair few of the ideas and such were really good, like "could make for an episode plot or subplot that'd be better than what we usually get" kinda good. And actually made pretty decent use out of nearly everyone, even the characters that supposedly had nothing to work with. Allllso this *is* EA, there's nothing whatsoever to say that the next one might be, say, a 60$ that locks everything behind microtransactions and mystery/loot-box only content anyway and likely an even bigger grindfest to force it. I mean being able to actually pick out something you want and just buy that is pretty much a thing of the past. I mean there's quite a lot of interesting ways a new game could go but as long as it's under the clutches of EA I doubt much good will come of it. The sale of Lucasfilm led to Lucasarts shutting down and Disney making a deal with EA for them to exclusively make games. As for The Simpsons, we've already learned on the home video front that the season 19 DVD delay is due to the restructuring at FOX Home Entertainment with Disney taking over and Disney+ will now be home to Simpsons streaming.